Every holiday season, people purchase kittens and puppies and give them as gifts, sometimes to people who cannot or should not own a pet. As soon as the holidays are over and the recipients realize the responsibility and cost that come with pet ownership, some of those owners surrender the puppies and kittens to shelters or sell them online. Sadly, shelters and rescues see the same influx post-holidays every year. Ronnie was one of those puppies purchased online as a gift. 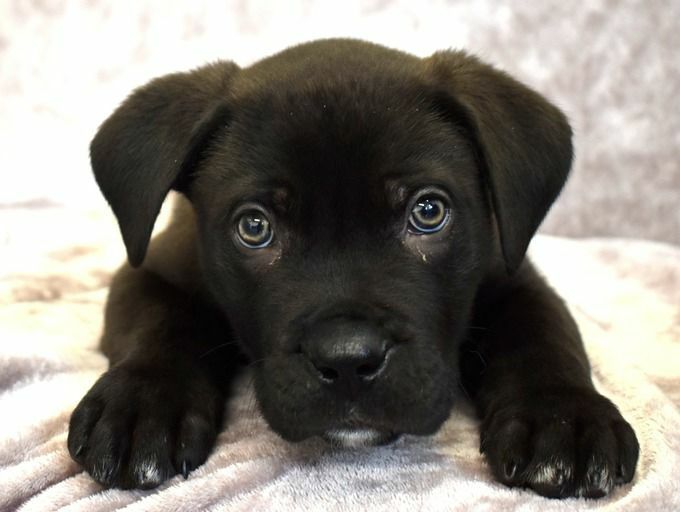 The 8-week-old mastiff cross was left at the Battersea Dogs and Cats rescue in London. Mere days after he had been given as a gift, Ronnie was surrendered by his new owner who had become homeless and could no longer care for the dog. Ronnie received his health examinations, vaccinations and a microchip by the veterinary staff. After his medical exams, the staff believed that Ronnie had been taken from his mother too soon and may have been the product of a puppy mill. Unfortunately, online pet sales are an entity that rescues around the world constantly battle. In England, more than 20,000 pets will be abandoned this winter and rescues like Battersea expect to house upwards of 550 dogs at any time. Craddock points out that "[Ronnie's] new owner did the right thing by bringing him into us where we can look after him and find him a loving new home, which we doubt will take long as he's such a lovely boy. However, this doesn't change the fact that he never should have been sold online in the first place. We believe he may have been taken from his mother far too young and likely sold by a breeder with absolutely no regard for his welfare." Ronnie was a candidate for quick adoption, and once his story went viral, Battersea was inundated with applications to adopt the puppy. “He’s so affectionate, even with new people, and loves a cuddle and a fuss. He also loves playing with toys and running around the kitchen. 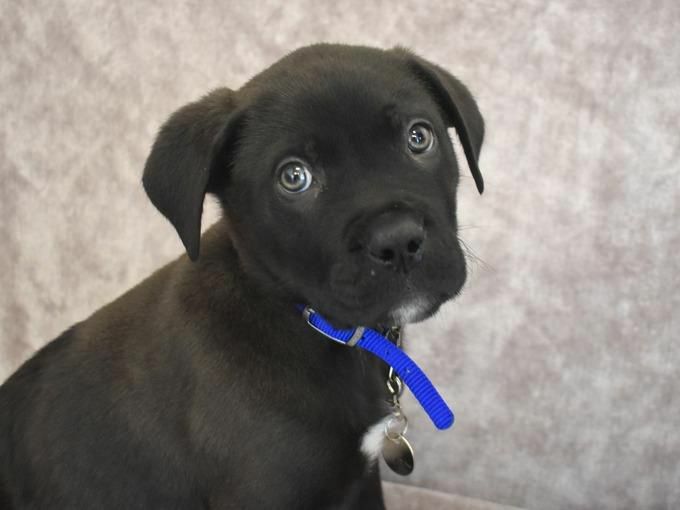 He’s such a sweet boy,” said Battersea staff member Alice Holt. 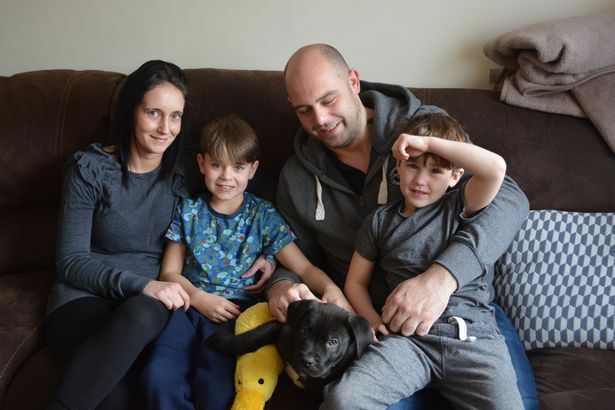 Battersea carefully reviewed the numerous adoption applications and picked the perfect family for Ronnie. 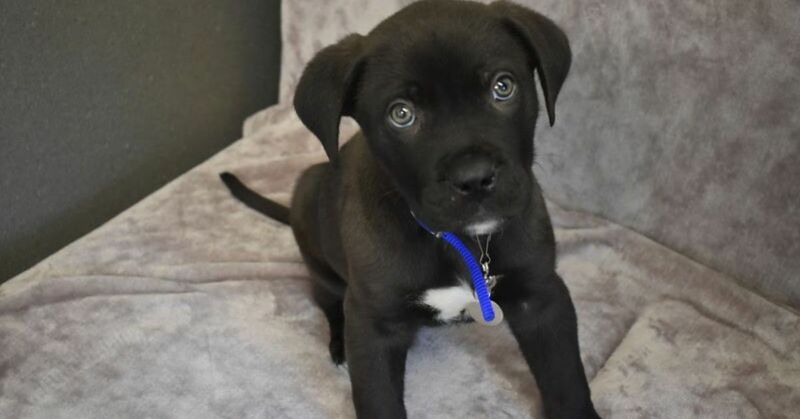 This beautiful and energetic puppy now resides with the Taylor family, and he has two young boys, Archie and Alfie, ages 8 and 5, who will help wear out this puppy with hours of fun and play. Joanne Taylor says Ronnie has adjusted quite well to the family: "He likes exploring every room – he's really close with my eldest son. He sleeps in his bed; he knows when it's bedtime. Alfie is the one who trains him, tells him right from wrong, and feeds him. Archie is more 'Let's go and play.' Ronnie knows that if Alfie's around, he's got to abide by the rules, but with Archie he knows it's play time." 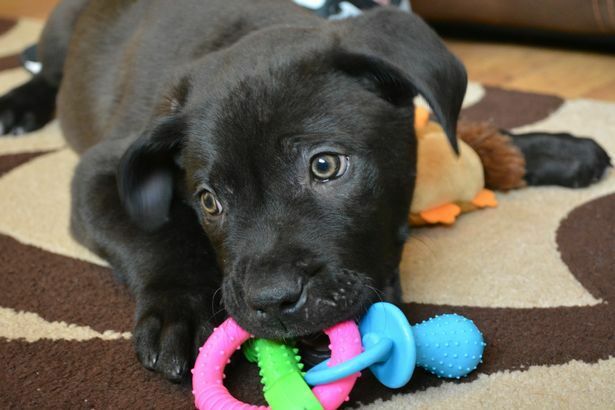 This puppy's story has a happy ending, but Craddock and the Battersea staff know that's not the way all stories turn out. Craddock encourages "anyone thinking of welcoming a new pet into their lives to consider rescue over shopping online." Ronnie is now living the good life with his new family. Check out the short video below to get a glimpse of Ronnie in his new home.